Over 30 special citizenship ceremonies were held across Canada, mostly in major cities, on Canada Day to mark the granting of citizenship status to Canadian permanent residents and to celebrate the country’s birthday. 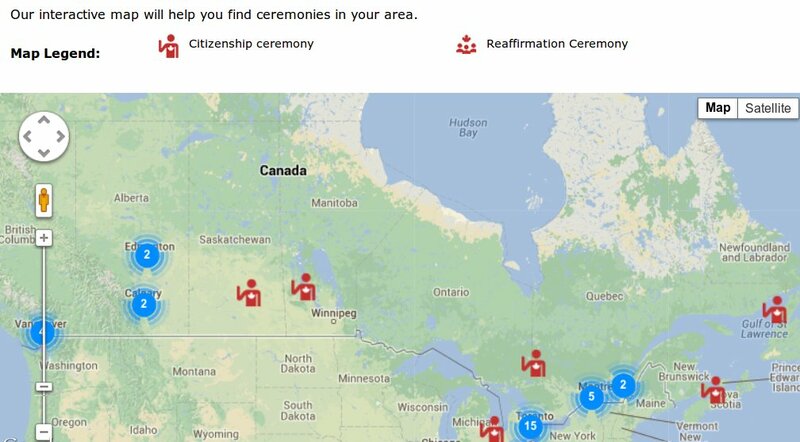 Citizenship and Immigration Canada (CIC) included a map of all events on their website to direct Canadians who wanted to observe the ceremonies and welcome the new Canadians. 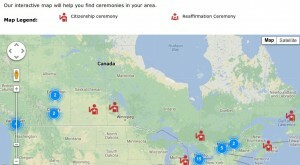 Also held across the country were four affirmation ceremonies, also called “The Great Canadian Oath” ceremonies, where individuals already holding Canadian citizenship ‘reaffirm’ their commitment to Canada, by recounting the Oath of Citizenship, singing the Canadian national anthem, “O Canada”, and talking about the importance of citizenship.